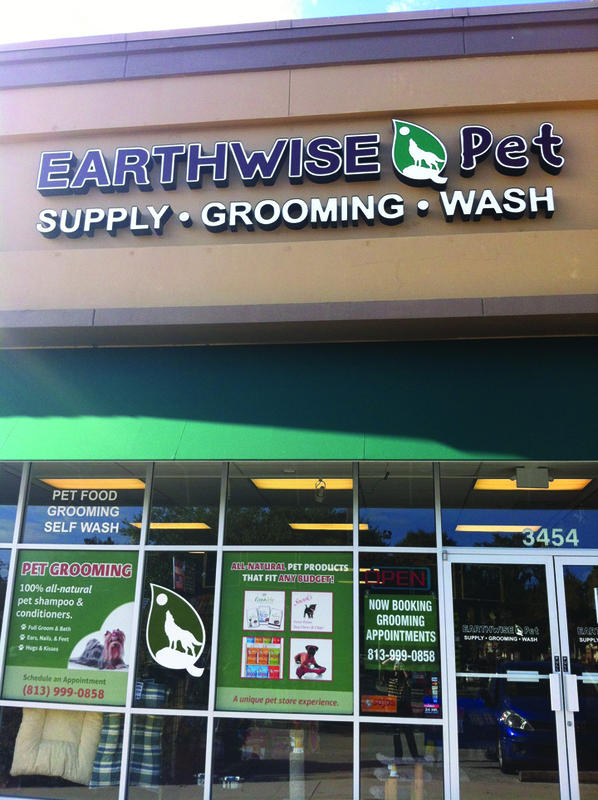 EarthWise Pet Supply, located in the Lithia Crossings Plaza, opened its doors late last month. The pet supply store offers all natural pet products, as well as grooming and washing. It offers healthy nutrition for both dogs and cats, and the store carries many different brand names to choose from. “Holistic pet food doesn’t need to cost a lot. We are hoping to help educate pet owners so spending a little extra on food will help them save money on vet bills in the long run,” said part owner Chris Klecic. 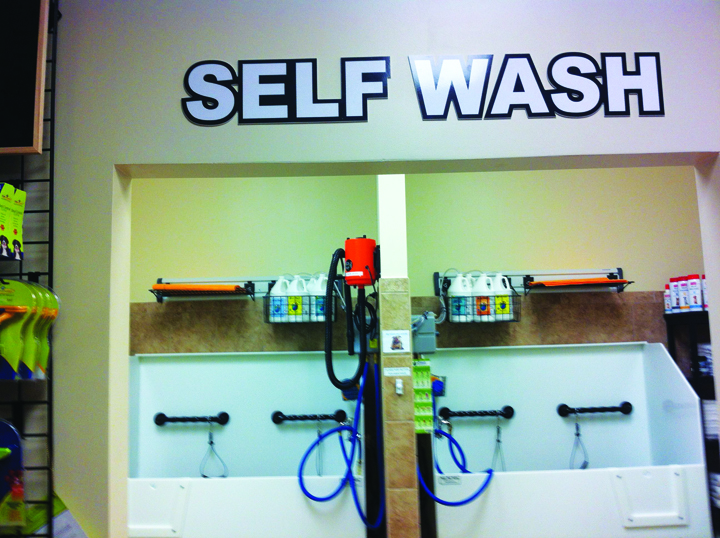 In addition to holistic cat and dog food, EarthWise also offers pet washing and grooming. There are two options for dog owners. They can make an appointment and drop off their furry friend in EarthWise’s stress free environment. The grooming area is visible through large windows, and doesn’t hold more than six dogs at a time. Natural shampoos and conditioners are used. Another option is the self wash dog station. There are aprons supplied for the owners, and the tubs can hold a big or small dog. The cost is $14.99 and the nozzle switches from water, to shampoo, conditioner and back to water. Towels are offered, as well as doggie treats. Other grooming services that are offered are pad treatments, haircuts for dogs and cats, shave-downs, lion cuts, puppy cuts, teeth brushing, and flea and tick shampoos. “We are really excited to be a part of this community and grow as a business,” said Klecic. Klecic owns the Lithia location of EarthWise with his father-in-law Mark Renfrow. Both of their wives also are a part of the team. Combined, Klecic’s family has a total of 10 dogs, seven of which are rescues. Starting on Saturday, November 15, EarthWise will be hosting pet adoptions every Saturday and Sunday. They have already partnered with Heidi’s Legacy in Lithia and Paw Print Hearts in Tampa, and are hoping to partner with more rescues in the area. They will be promoting the rescues on Facebook and collecting donations for them as well. “There are a lot of dogs and cats in this area that need homes. We also want to educate the community on fostering animals as well as adopting,” said Klecic. EarthWise Pet Supply is located at 3453 Lithia Pinecrest Rd. For more information, visit EarthWisePet.com/Tampa-Valrico, call 999-0858 or e-mail Valrico@EarthWisePet.com.